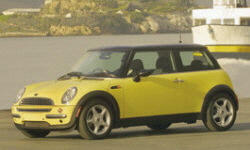 Mini Hardtop Cargo Capacity Pros and Cons | Page 1 of 1 | Why Not This Car? golf clubs and gear for two, a breeze, plenty of room. Space with seats up is minimal. Space with seats down is good, but I had problems packing everything in for a two-week roadtrip. Little cargo capacity with the back seats up. It is basically a two seat sports car with a residual trunk. Cargo capacity is pretty small. You can fit one large duffel bag, or about four paper grocery bags with the rear seat up. Forget about towing anything larger than a 3x4 trailer holding your sticky tires for autocross. It is a very small car, but you have to know that going into it. 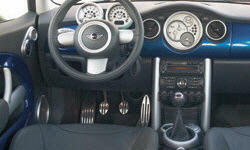 It is called a Mini right. We were able to carry everything we needed for a weeks trip to Canada from the SF bay area.